Kelly finally gets her Ohio License to run at the BOTB! Kelly Pitts Stewart and Im Hannah Montana are looking better than ever. She qualified last year but didn’t have the requirements to run but this year she got done what needed done and will be running at the BOTB! When and Where did you qualify for the BOTB? Can you name one or more people who inspire your riding? I dont have just one. But the main group is my family because they make me feel like anything is possible and know how to motivate me when times are trying. What is your best memory of you and your horse as a team? Making the finals at Congress last yr. In the sweepstakes. Hannah had some success as a 4 yr old and the beginning of her 5 yr old yr until we almost lost her to antibiotic colitis. More people and vets than I care to remember told me she would never be the same or race again. It has been a long road. What is your favorite arena and why is it the one you like the most? 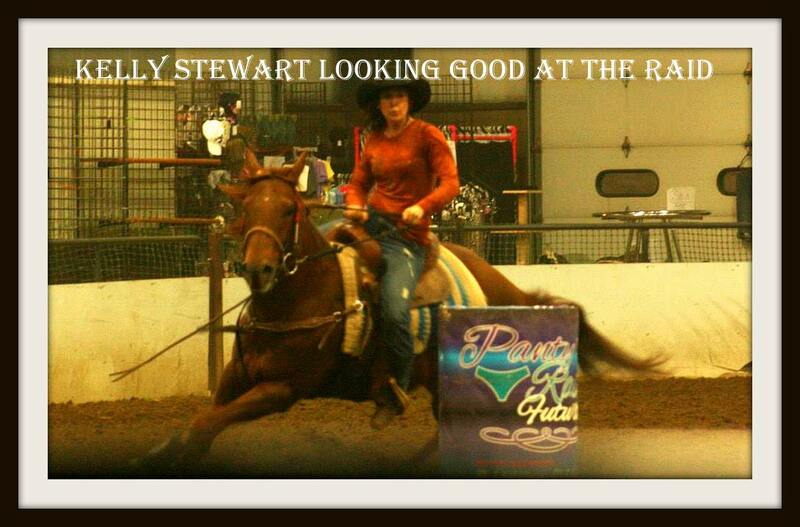 Circle g. Management is great and my horses have always seemed to do well there ever since they started having shows. How long have you had the horse you qualified on? Since she was 2…so 6 yrs. Do you have a favorite song you like to hear before you enter the alley way to make a run? Party in the USA because of hannahs name. It makes me laugh. Watch for Kelly and Im hannah montana to run up the alley way at the Best of the Best! If you are looking for Kelly she will probably be by the tractors as her husband Justin will be part of the dirt crew at the BOTB! Previous Out of Stater Chris Coffey qualifies for the BOTB! Next BOTB and The American – Goose better be talking!